A rare offering with a fantastic location on the super quiet cul de sac, and access to beautiful Lake Chaparral and its Residents Association amenities. 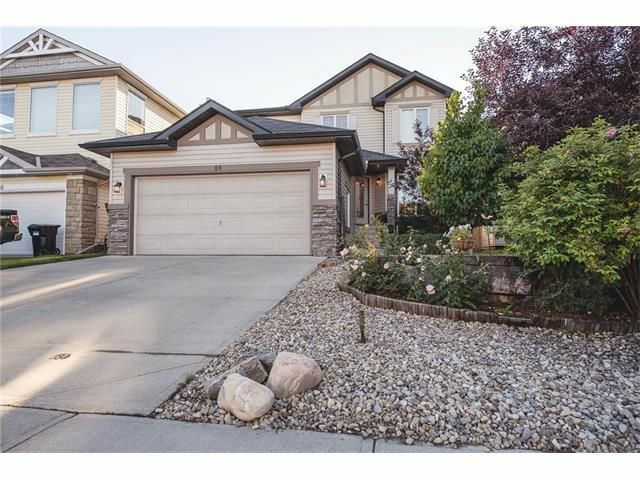 This exceptionally well maintained, 2 storey home offers 5 bedrooms, 3.5 bathrooms, 3 fireplaces, main floor laundry, separate office, beautiful low maintenance backyard, two furnaces and fully finished basement. Hot water tank installed one year ago. The main floor features chef’s kitchen, stainless steel appliances, granite counters, huge center island with sit up bar, floor to ceiling cabinets, walk through pantry and hardwood floors. Upstairs boasts a beautiful master retreat with a fireplace and reading area, spa-like en-suite, walk in closet, and two good sized bedrooms. The Basement is Fully Developed with 2 bedrooms and 4 pc full bath to cater to your extended family. Basement also offering the huge recreation room where you can host parties, place a pool table or ping-pong table. The house has A/C supporting the second floor to make you sleep well during the hot season.